The question is not so much if progress is occurring, but if, driven more by the Koreas than Washington, it isn’t moving fast enough. Jeong Se Hyun, former unification minister, reminds it is “unprecedented” for Seoul’s unification ministry to deal directly with the State Department. The reason? “In this situation where the United States is putting the brakes on United States-North Korea relations, there is a need for the unification ministry to directly persuade the State Department,” Jeong said. A year ago it was reported the United States was imminently preparing to attack North Korea. Instead of holocaust, what followed was a summit in Singapore. Officials from North and South now meet regularly, Secretary Pompeo has been to Pyongyang, and there is a new American Ambassador (a career Navy officer whose father fought in the Korean War) and Deputy Chief of Mission (a professional diplomat with nearly a decade of Korean experience) in Seoul. 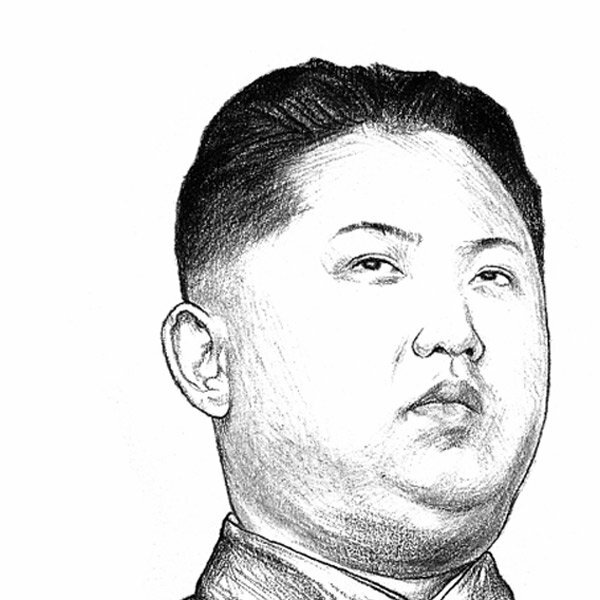 The United States has a Special Representative for North Korea. Diplomatic infrastructure is being built. Yet the headlines this week raise concern over a “great deception” by the North Koreans, evidenced by a think tank “discovering” North Korean missile facilities already long known to United States intelligence. As dramatic as that sounds, South Korea’s presidential spokesperson put those “new” missile facilities into a more accurate perspective, saying “North Korea has never promised to shut down this missile base. It has never signed any agreement, any negotiation that makes shutting down missile bases mandatory… There is no agreement, no negotiation that makes it necessary for it to be declared.” All of this was to be expected; Kim Jong Un in his January 2018 New Year’s Day guidance stated North Korea would shift from open air testing to maintaining nuclear weapons in such facilities. The larger story left in the shadows of such created-drama is the ongoing rush forward driven by the two Koreas themselves, the most likely subject of discussion this week between Minister Cho and Secretary Pompeo. Since the Trump-Kim-Moon summit the two Koreas established pseudo-embassies just north of the Demilitarized Zone, where representatives have met more than 60 times. The offices have become clearinghouses for over a dozen joint economic initiatives, including a massive project in preparation for greater cross-border trade to link roads and railroads severed during the Korean War. North and South Korea have removed landmines and other weapons from the border and drawn back border guards. Kim offered to permanently dismantle two key ICBM facilities under the observation of outside experts, and to negotiate further on the permanent shut down of the nuclear facility at Yongbyon. While Minister Cho and Secretary Pompeo will no doubt agree that’s not a bad start for the first five months since Singapore, of likely concern to the United States is South Korean President Moon Jae In’s belief economic progress is a necessary fore step to ultimate denuclearization. He almost certainly sent Cho to Washington seeking American concurrence to increase economic cooperation with the North, including asking for changes to sanctions now limiting some financial transactions. Moon himself lobbied Russia leader Vladimir Putin along the same lines, and will make a pitch to Vice President Pence on the sidelines of the Association of Southeast Asian Nations ASEAN Summit this week. Moon seeks sanctions relief as negotiations move forward, no doubt holding little is accomplished without some give and take. “I believe the international community needs to provide assurances that North Korea has made the right choice to denuclearize and encourage North Korea to speed up the process,” he said this week in Paris. American domestic politics sees things flipped 180 degrees, with sanctions relief a thank-you gift delivered after the last nuke is carted away. Despite the situation as described by pundits – a sneaky North Korea duping an uninformed American president – the reality appears much closer to a process now at a crossroads between two visions of a way forward. North and South Korea appear to want economic progress, paced with concessions by the North. Under criticism Trump is naive, the American side wants aggressive steps toward denuclearization first, with economic progress largely withheld instead of fed incrementally. How much the United States is willing to incentivize denuclearization is much more likely the subject Minister Cho and Secretary Pompeo will discuss then North Korean missile bunkers both have long known about. Time matters. A new American president in 2020 will be unlikely to press the case in North Korea, receding back into the politically safer waters of previous decades’ policy of largely ignoring things. Washington is not alone in seeing strategy held hostage to domestic politics. In the South, progress with North Korea is widely supported, and Moon will see electoral challenges if he does not deliver results. Kim’s domestic situation is less clear, but he faces pressure for economic progress from his growing middle class while at the same time must tamp down the suspicions of his hard line supporters that he may give away too much too soon at too low a cost. Minister Cho may remind his reluctant American interlocutors decades of sanctions have yielded only a nuclear North Korea. The nukes are part of a problem solved by a comprehensive solution that takes into account what the North is really at the table for: engagement with the world system and assurance of its own survival. That ultimate goal will require the North’s nuclear weapons to become unnecessary, as Pyongyang agrees internally to and is allowed externally to become so engaged with the global system it finds itself no longer in need of such a powerful deterrence. It can be done; the world has the broader road map of Deng Xiaoping and China to follow forward. This isn’t faux optimism. This is diplomacy, chock-a-block with hard choices and twisty decisions, a push and pull between priorities. The underlying challenge for the three parties is not about media bleating, North cheating, and Trump tweeting, but finding the proper balance of economic incentives which match both strategic and domestic needs, in three national capitols. All that before time runs out. For those who decried Rex Tillerson’s 14 month tenure as Secretary of State, those who wanted a more aggressive advocate in foreign affairs, those who wanted more of the empty slots filled at Foggy Bottom, be careful what you wish for. Because you now have Mike Pompeo. Rex Tillerson will not, as some claim, be remembered as the worst Secretary of State in history. He made no significant blunders or gaffes, gave away nothing to the determinant of the United States. He just didn’t do much at all. Understanding Tillerson’s place in history requires understanding the State Department is an agency without primary agency. Under Cold War administrations it focused on arms control. During the Bush and early Obama years, State was sent off to rebuild Iraq and Afghanistan. Hillary Clinton switched the organization over to “soft power” programs. John Kerry started on Syria as a signature aim but ended up focused singularly on the Iran nuclear deal. Tillerson never articulated any goals for his organization beyond some verbiage about structural reform that will never again see daylight. Tillerson will more accurately be remembered not as the worst of secretaries, but as the most pointless. Tillerson never understood the traditional way of engaging State’s bureaucracy is for a new secretary to fill key positions with political appointees, who will task the rank and file below them. Tillerson left too many slots vacant too long, and found himself without allies inside Foggy Bottom as his relationship with Trump failed to gel. Left on their own, his diplomats found ways to make trouble for him, including leaking dissent memos on the administration’s approach to child soldiers and Trump’s executive orders banning travelers from some Muslim countries. Alongside all that, the media offered Tillerson no rest, proclaiming in near-apocalyptic terms the end of diplomacy, the dismantling of the State Department, and announcing with dulled regularity the loss of U.S. standing in the world. It’s kind of amazing in a way Tillerson lasted as long as he did, though the end was the kind of inglorious mess all too common now in Washington. Tillerson was caught flat-footed with the announcement of an impending summit with North Korea, and his clumsy attempt to sound relevant commenting only handed the media another chance to claim chaos in the administration. Tillerson made his remarks in the midst of a humiliating apology tour of Africa, where he was tasked to be the punching bag for leaders on the periphery of U.S. foreign policy angry over the president calling their nations sh*tholes. But as the old saying warns, be careful what you wish for. Mike Pompeo as Secretary of State will be no Rex Tillerson. Among Pompeo’s most significant foreign policy stances is his long-standing opposition to the 2015 agreement among the U.S., Iran, and European and Asian powers that lifted economic sanctions in exchange for Tehran accepting curbs on its nuclear program. “I look forward to rolling back this disastrous deal with the world’s largest state sponsor of terrorism,” Pompeo said during his CIA confirmation process. As head of the Department of State, which sees as one of its few Obama-era legacy successes that nuclear agreement, Pompeo will encounter diplomats who were displeased by the bland Tillerson repelled by him. Anybody expecting the rehabilitation of the State Department is in for a long wait. A toxic relationship with the rank and file? You ain’t seen nothing yet. But what his diplomats think of him may not matter to Pompeo. Unlike Tillerson, who as a stranger to Washington failed to understand the need to seed the bureaucracy with allies, Pompeo is likely to move quickly to insert people who mirror his ideological stances into the State Department. His ties with conservative organizations suggest he’ll have a pool of like-minded people to draw from, and his close relationship with Trump implies he won’t run into the resistance Tillerson often did in getting his choices blessed. Pompeo will however need to walk back earlier remarks hinting at regime change in North Korea. Security is Kim Jong-un’s primary goal for negotiations with the U.S., and a guarantee of his own position will be non-negotiable. Trump can expect no progress on denuclearization without deflecting Pompeo’s July 2017 statement the North Korean people “would love to see” Kim removed from power, and that he remained hopeful the U.S. would figure out a way to make that happen. But those are details. We already know what kind of Secretary of State Mike Pompeo will be. Given his firm stances on issues such as the Iranian nuclear deal, informed by a staunch political philosophy formed out of his Tea Party days, and backed up by his Washington experience and closeness to Trump, it is very unlikely Pompeo will be an inconsequential secretary in the Tillerson mold. The new worry is someone in a position that often served previous presidents by presenting dissenting opinions being filled by a man who will in lock-step amplify and support Trump’s own views. Don’t forget it was Pompeo who made the Sunday show rounds to defend the president’s response to the white nationalist rally in Charlottesville last August, even as other administration officials stayed silent. Critics who focused on a perceived lack of consistency in foreign policy hurting America’s global credibility will need to prepare for a policy machine that fully mirrors the intent of Donald Trump. A marked man, it was only about a month ago the media speculated on how soon United Nations Ambassador Nikki Haley would replace Tillerson. Two weeks ago a trial balloon floated up with Mike Pompeo’s name in trail. But a burst of nearly-identical stories over the last few days, spearheaded by the New York Times, signals the end for Tillerson and names Pompeo, currently Director of the Central Intelligence Agency, as his successor. What lies ahead? A huge part of Tillerson’s failure was in missing that last point. The traditional way of engaging the bureaucracy is for a new Secretary to fill key positions with political appointees, who will shape the rank and file below them. Bonus points to the Secretary who can pluck out career Foreign Service people with the approved ideological bent to act as a virtual political appointees, a strong point of Hillary Clinton’s. Tillerson left too many slots vacant too long, and now finds himself without allies inside Foggy Bottom. Meanwhile, left on their own, his diplomats found ways to make trouble, including disclosing once-sacrosanct internal dissent memos. Soon after Tillerson took office his diplomats leaked a dissent memo opposing the State Department’s role in Trump’s immigration plans. Another dissent memo leaked some ten days ago, this time with Tillerson’s people claiming their own boss was in violation of the law. Alongside building their version of the organization, it is incumbent on a new Secretary to aim the State Department at some goal. State is an agency without primary agency; under one administration it focuses on arms control. Under another, State tries to rebuild Iraq and Afghanistan. More recently, the emphasis has been on “soft power,” programs to empower women, the use of social media, promoting democracy, and the growth LGBTQ rights. Tillerson never articulated much of a goal beyond some unfocused thoughts on structural reform that will never again see daylight. Though it is fashionable to label Tillerson as the worst Secretary of State of modern times, in reality Tillerson will be remembered as perhaps the most pointless of Secretaries. Based on my conversations with former State Department colleagues (I served 24 years as a diplomat) Tillerson’s successor will encounter a mood inside the State Department reminiscent of a rescue dog kennel; over there are the mutts who feel abused, wary of any new human. Off to the side are the ones who have given up; the need to log a certain number of years of service to get their generous pensions will keep many technically on the books but a new Secretary can expect very little from them. The majority of dogs will be open and waiting to see what happens (“Can’t be much worse, right?” is something many at State are saying.) But watch out for a few who feel newly empowered, the ones who think they helped drive a bad Secretary out of office. They may still bite. It is unclear Mike Pompeo, the heir apparent, will be able to succeed where Tillerson failed. The climate for political appointees in Washington today feels more like that of late in a moderately successful president’s second term; the good people have already been selected-served-moved on, many of the old standbys are not interested in signing up for what may turn out to be short-run jobs, and that leaves a small pool for Pompeo to fill State Department jobs from. Pompeo’s tenure at Central Intelligence was brief enough that he is unlikely to bring over many loyalists, and most at Langley see working for State as a kind of step down anyway (many at the Agency view themselves as the lacrosse team, with State as the nerd club.) Who will Pompeo staff with? And how can he do it quickly while the dogs are still weighing out their next moves? There is also the issue of culture. Pompeo began his tenure at Central Intelligence on a relatively positive note. However, his hard line stances soon rubbed many the wrong way, leaving them wondering if the boss could navigate the nuances that drive good decision making. How poorly that will play out at the State Department, with its culture of discussion and deliberation, its love of what-ifs and may-be’s, is easy to imagine. And there’s the record: Pompeo caught Trump’s eye in part for his tough stance on Iran. Inside the State Department, the Iran Nuclear Accords are seen as one of the institution’s modern-day signature accomplishments. Pompeo is a conservative, and State has always been the most “liberal,” as in committed to the global system of trade and democracy, part of modern administrations. Tillerson, weakly but in line with State-think, pushed for some sort of talks with North Korea and supported the Iran deal. Pompeo opposes both. That’s a big chip to have on your shoulder your first day at work. But at the end of the day, the mismatch between State and Pompeo, or State and Haley, or State and Tillerson for that matter, is not really about who is Secretary of State, but who is president. A lot of the anger directed at Tillerson was actually using him as a stand-in for Trump. The primary driver of foreign policy remains the White House, and the White House appears to have little love for its diplomats. If as an establishment Republican Tillerson had within him a bit of divergent thinking from Trump on issues like Iran and North Korea, Pompeo as an old school hawk is nothing but a loyalist, with a personal connection to Trump. If the president’s intention is indeed to dismantle the State Department, it is hard to imagine a person better suited to the task than a guy like Mike Pompeo. As the New York Times editorial board has already accused Tillerson of “making war on diplomacy,” it will be interesting to see what words they have left to label Pompeo’s opening shots. 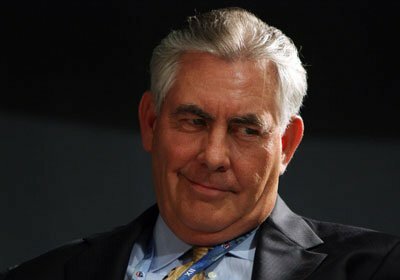 Rex Tillerson is still Secretary of State, even as people inside and outside of Foggy Bottom cheer his demise. The irony will be if in a few months from now some of those same people start wondering if they had not been better off under his leadership. Pity soon-to-maybe-be-former Secretary of State Rex Tillerson. Here’s a guy who can’t get to the sports page of his favorite newspaper without wading through a new round of rumors of his own demise. If it is not a new leak out of Foggy Bottom saying someone cut in front of him in the cafeteria line to get the last Jello dessert, presaging a palace coup, it is the New York Times claiming the White House plans to oust him by the end of the year, possibly to replace him with current CIA director Mike Pompeo. Politico ran basically the same story two weeks ago, but it didn’t seem to attract much attention. And it seemed like only yesterday Tillerson was finished again, to be replaced by America’s UN Ambassador Nikki Haley. OK, sorry, that was last month. Let’s take a deep, cleansing breath, and recognize there are two stories here. The first is how long Tillerson will remain at State, a story that is more palace intrigue than anything else. The second is who will replace him. Whether Tillerson quits or gets fired soon is mostly just a matter of how his Wikipedia biography concludes. From Day One neither the media, nor his own organization, the Department of State, offered him a chance. Even before the 2016 election results, State’s supposedly non-political diplomats leaked a dissent memo calling for more U.S. intervention in Syria, a move then not supported by Candidate Trump. Soon after Tillerson took office, his non-political diplomats leaked a dissent memo opposing the State Department’s role in President Trump’s immigration plans. Yet another dissent memo leaked just ten days ago or so, this time with State’s people claiming their boss was in violation of the law over a decision regarding child soldiers. Daily “reports” from “sources” claiming the Secretary had cut himself off from the organization’s rank and file. Given the leaks, maybe Tillerson was wise to avoid the cafeteria. Despite factual evidence to the contrary, most mainstream media claimed State was hemorrhaging diplomats. With no evidence presented (State has always been notoriously tight-fisted with its personnel statistics), the New York Times stated without qualification Tillerson had “fired or sidelined were most of the top African-American and Latino diplomats, as well as many women.” Ouch, if true! Adding to the cat fight-like coverage of events of state, Tillerson supposedly called Trump a moron, Trump’s tweets were interpreted by the press as undermining whatever standing Tillerson might have had. The media, who had blissfully ignored State hiring below attrition since the Obama years, now seized on every routine retirement out of Foggy Bottom as proof that Tillerson was toast. Whether you believed Tillerson’s planned reforms for State were a sincere attempt at change to an institution already dipping into irrelevance next to the military, or whether you believed Tillerson’s reforms were the work of a hatchet man sent in to destroy the State Department (if you’ve had a couple of drinks reading this, the destruction was to empower Putin. If you’re still sober-ish, the destruction was revenge for State hiding Hillary’s emails), the bottom line was very clear: those reforms were never going to happen and Tillerson was a dead man walking. If you are really into conspiracy theories, forget Putin and Clinton. Tillerson needs to go because Trump fears his vote under the 25th Amendment to oust him. Pompeo (or even Haley) stands on more ideologically firmer ground. Outside the Beltway there is little love, or even real knowledge of, the State Department. It is doubtful Trump’s core constituency could give a hoot what happens at Foggy Bottom. I have no idea as I write this whether Rex Tillerson is still sitting in that office on the seventh floor of State Department headquarters or not. It doesn’t matter. If he’s still there today, he won’t be there sometime soon. So the real question shifts to who will eventually replace the neutered Rex Tillerson, and what if anything that means. The initial response is to look at the media’s current favorite horse in the race, Mike Pompeo, possibly still head of CIA as I write this (rumor suggests Pompeo would be replaced at CIA by Senator Tom Cotton, a key ally of the president on national security matters, according to the White House plan.) In the Politico hagiography of Pompeo, the CIA director glows in “favored status in the West Wing.” Haley is done. “The president has been turned off in part by speculation that Haley has her eyes on a presidential bid, two people close to the president said,” in the language of Washington today, where facts are simply what “people close” to things say. So what would Mike Pompeo be like as America’s 70th Secretary of State? Never missing a chance to get the first knife planted in the back, former Ambassador Jim Jeffrey warns while Pompeo currently “has this very close relationship with Trump, and you can’t nurture it the same way when you’re traveling all the time,” referring to the Secretary of State’s international schedule. But before the poo-poo, what was Pompeo like at CIA that might give us a clue to how’ll he will do at State? The signs are not good. Pompeo is a conservative, and State has always been the most “liberal,” as in committed to the liberal global system of trade and democracy, part of any administration. Pompeo is a hardlining on Iran; State sees as one of its few legacy successes the nuclear agreement with that nation worked out under Secretary of State John Kerry. Even at CIA, Pompeo showed a demeanor that seems at odds with the State Department’s culture of consultation, discussion, what ifs and may be’s. Pompeo’s clear certainty on issues such as Iranian nuclearization brushed hard against even the Agency’s culture, which one officials described as “The CIA isn’t Saudi Arabia, the people there appreciate nuance, they’re married to complexity.” It won’t get better at State. Sources at the Agency explain to become a successful head of the CIA you really have to own the place, which means embracing the entrenched powers, the people on the 7th floor and the one just below it. “You’ve got to get them on side, and you’ve got to spend time doing it,” said one Agency veteran. It appears highly unlikely Pompeo would find himself well-liked at State. Diplomats displeased with the relatively bland Tillerson, whose faults extend to apparently not having many firm opinions on foreign policy matters, will be repelled by Pompeo’s views. 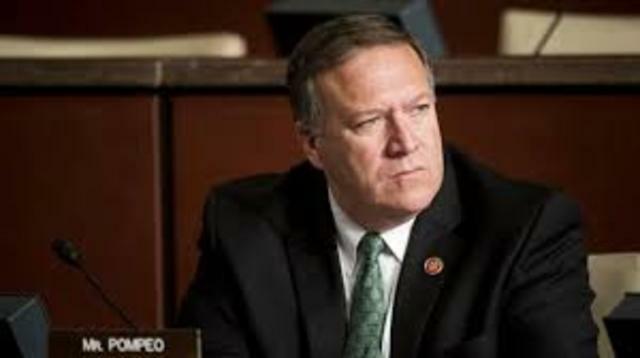 Looking ahead to a Pompeo tenure, one State Department source told me “There is nothing analysts at State hate more than to have a theory dismissed with ‘But over at CIA they say…’ and Pompeo will walk into the building with that chip on his shoulder.” As Secretary of State, it is doubtful Pompeo will interact with, or care much about, the organization he’ll head up. As a Trump loyalist, whatever nefarious plans Trump has for the State Department as an institution will find a boss happy to see them carried out. Trial balloons masquerading as reporting saying Pompeo’s supposed closeness to Trump will be welcomed by the State Department rank and file are sad gasps in the dark. There is no good news ahead for Foggy Bottom. Whatever pundits did not like about Trump and his State Department they will dislike plus double much under Pompeo. Whatever one believes about the administration’s plans to destroy diplomacy, that belief will be reinforced during Pompeo’s tenure. But here’s the prediction I am most certain of: about two months after Pompeo takes office as Secretary of State, the media will start writing revisionist pieces claiming Tillerson was a check on Trump’s impulsivity, and is missed at State. The New York Times will remember Tillerson’s tenure as the time no new wars started, when the U.S. did not start a war with Iran, North Korea, Russia or China. Rex Tillerson is not the worst Secretary of State and he is far from the best of them. For the State Department rank and file, he was a punching bag, a symbol of what they believe the Trump administration has in store for them as an institution. For the media and some members of Congress, Tillerson was a stand-in for all that they hate about Trump and his view of the world. The guy never stood a chance. It is hard to see anyone seeing Pompeo much differently. He takes office as a dead man walking.